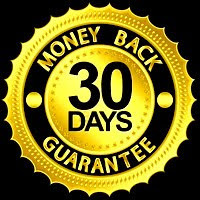 For the last few years I’ve been approached several times by people wanting to hire me as a consultant to their fitness boot camp. After looking over their business plans and goals for their clients, I turned every single one of them down. The reason has always been the same. They were more interested in making money than producing a program that actually works and is client success driven. 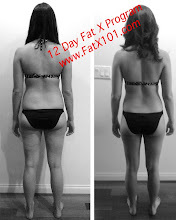 Two months ago I teamed up with a former U.S. Marine and Iraq veteran to work on putting together a boot camp that could be as successful as the Fat X program and the Fat X project but in a group environment. After working closely on this new project, taking everything that works, and scrapping the negatives of other boot camps, we are finally ready, and I’m am happy to announce the beginning of the FX Boot Camp. 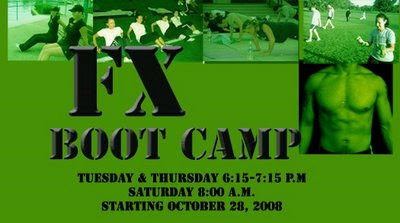 The FX Boot Camp will run in six-week cycles. We will meet three times a week, Tuesday and Thursday at 6:30 p.m., and Saturday at 8:00 a.m. The primarily location will be at the world famous Rose Bowl in Pasadena, but other venues will also be utilized. Feel free to e-mail me for registration information and any other questions.